TWB Ambassadors are individuals who are active and proactive supporters of the organization and who have been involved and supporting TWB for many years, dedicating their personal and professional skills to helping the organization achieve its goals. 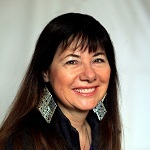 Lori is the founder of Translators without Borders and CEO and founder of Lexcelera, an innovative translation company established in Paris, in 1986. Before she founded TWB, Lori and her Lexcelera partner, Ros Smith-Thomas, set up Traducteurs sans Frontières to support humanitarian organizations in France. Following the earthquake in Haiti in 2010, Lori decided to create Translators without Borders to better respond to global humanitarian crises. She was the first president of the newly-formed organization. After visiting East Africa, Lori added ‘access to knowledge’ to the mission of TWB. Lori, who holds an MFA from the University of British Columbia, is a frequent speaker on how translation and technology work together to counter language barriers. Her vision is for everyone in the world to be able to access the information they need, no matter what language they speak. 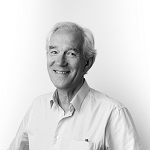 Simon has been part of the translation and localization community since the 1980s and is CEO of MediLingua, a linguistic services company based in The Netherlands specializing in pharmaceutical, clinical trial, biomedical, and other health-related information. Simon served on TWB’s first Board of Directors (2010-2014) and established the TWB Kenya office where over 250 translators have been trained. This center has been instrumental in creating translation capacity in East and West Africa, and many of the center’s former trainees now serve as health translators and also provide language support during crises. Simon’s experience as a seasoned translation executive, his long-standing involvement in TWB, and his strong conviction that language matters and that translation saves lives, make him a ideal TWB Ambassador. Renato is a business consultant and investor and has over 30 years of executive-level experience in the localization industry. 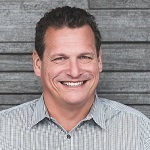 He has served on executive teams for some of the industry’s most prominent companies and co-founded Common Sense Advisory, the first market research company targeting the language services space. Renato was the president and is currently an advisor to Elia (European Language Industry Association) and the vice-president of ABRATES (Brazilian Association of Translators and Interpreters). He is a frequent speaker on globalization and localization issues at industry events and universities around the world. His experience in marketing and communications helps Translators without Borders reach a broad audience around the world. Sue is a freelance translator (FR>EN and IT>EN) with an MA in AudioVisual Translation Studies from the University of Leeds. Sue became TWB Volunteer Manager in 2015 having attended a talk by TWB Board Chair and has since then represented the organization at translation events and conferences across the United Kingdom. Sue’s connections in universities and translation associations have been a valuable resource for TWB to expand its community and to source translators. 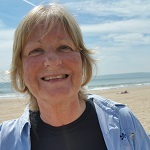 Sue also developed and led the creation of the TWB Cookbook, a volunteer initiated and managed project which aims to raise funds for and awareness of TWB.